Although a swimming pool or spa water may look nice and clean, with the smell of chlorine clearly in the air, there could well be nasty bugs lurking that are harmful to public health. 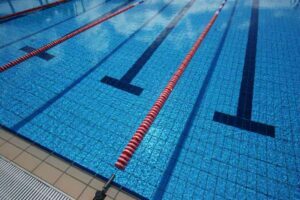 Swimmers can inadvertently become exposed to the potentially dangerous waterborne pathogen Legionella that can contaminate pool water. The bacterium is found naturally in fresh water. It can contaminate hot water tanks, hot tubs, and cooling towers of large air conditioners. The disease may also be transmitted from contaminated aerosols generated in hot tubs if the disinfection and maintenance program is not followed rigorously. Legionnaires’ disease is a form of atypical pneumonia caused by any type of Legionella bacteria. Signs and symptoms include cough, shortness of breath, high fever, muscle pains, and headaches. Nausea, vomiting, and diarrhea may also occur. This often begins two to ten days after exposure. Make sure all water systems are properly maintained. Landlords and other business owners should follow their legal duties of ensuring all water systems on their premises are properly maintained and operated. There are specific regulations and requirements you need to comply with in order to legally operate your business. InDepth are water safety specialists who can support those responsible for the control of legionella and other water safety issues, delivering professional water safety and legionella risk assessment solutions, and water testing. Call Indepth Water Management today on 1890 66 33 33 or email info@indepth.ie.